"This is a spectacular wine that represents a unique blend of 70% Petit Verdot and 30% Cesanese d'Affile. 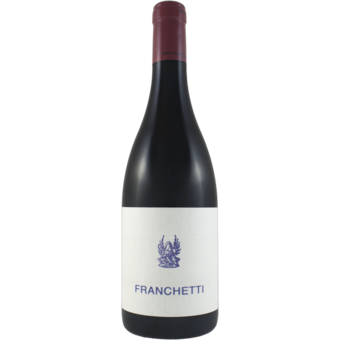 Andrea Franchetti's namesake 2014 Franchetti is a darkly saturated and generously exuberant wine. The wine's appearance is marked by an inky dark, almost impenetrable appearance. The bouquet is overtly opulent and rich with bold fruit tones followed by spice, leather and crushed granite stone. This is a very special wine that is full of personality and generosity. Only 3,000 bottles were produced." "Fully saturated inky purple. Powerful aromas of cassis, blueberry, vanilla, cedar and black currant leaf. Then amazingly creamy, supple and plush, but showing outstanding energy to seamless, sweet dark berry and spicy flavors complemented by candied violet. A huge wine with a long, suave finish featuring sweet dark berry compote notes, but vibrant acidity keeps it very light on its feet. 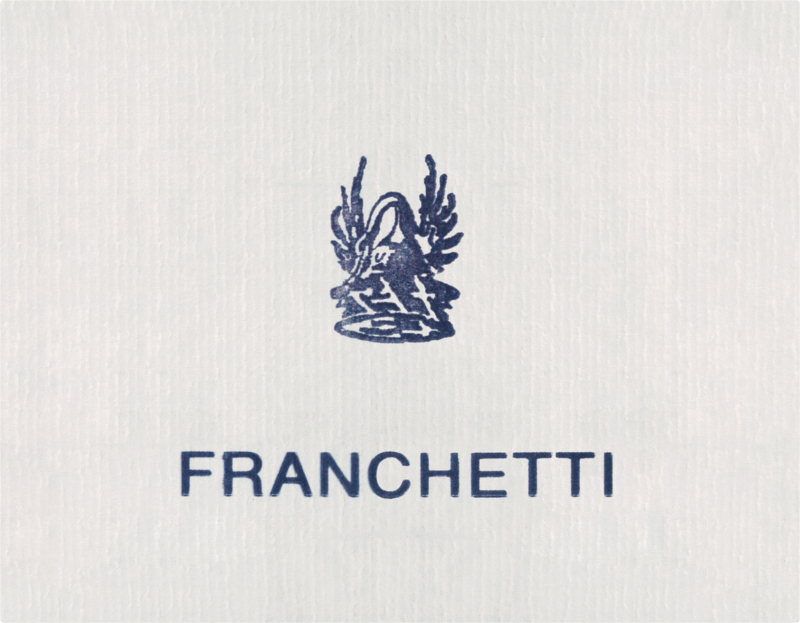 The creamy mouthfeel is a dead ringer for Franchetti’s Tuscan Tenuta di Trinoro wine."